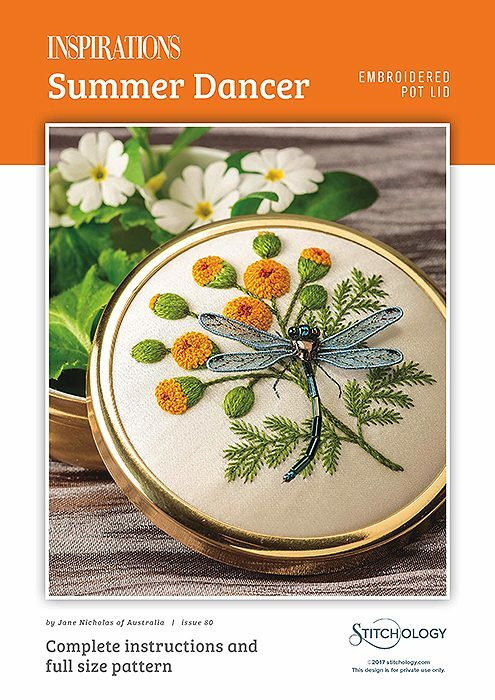 Exquisite treasure pot with elegant raised embroidery. 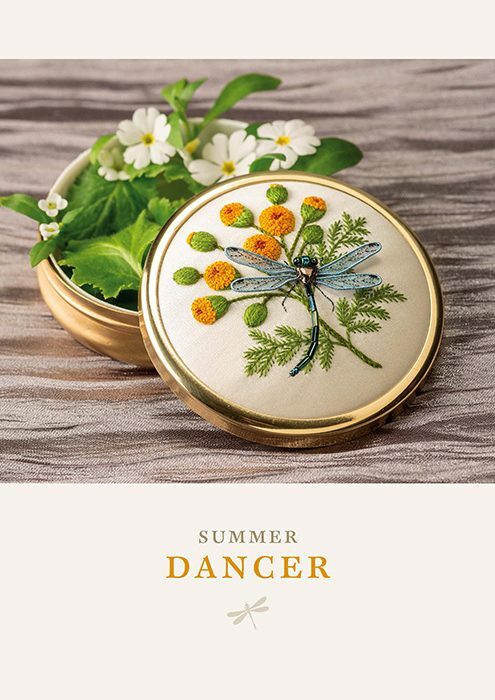 Summer Dancer by Jane Nicholas is an exquisite pot lid featuring an elegant, azure damselfly that hovers gently above a sprig of fragrant tansy. 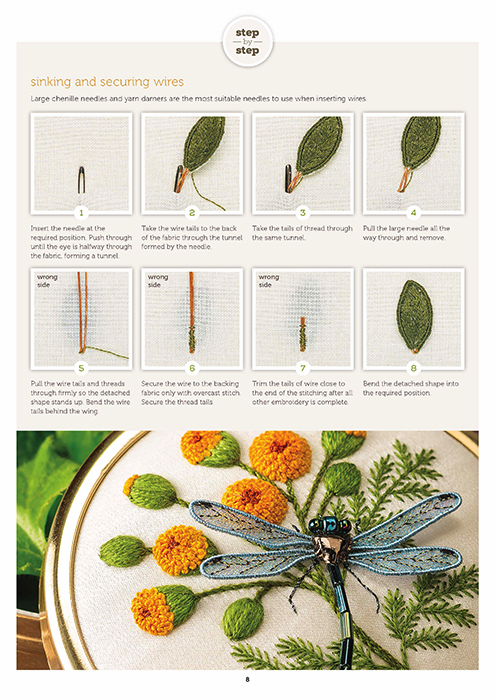 Lustrous beads are used to fashion the damselfly’s body and the delicate, organza wings appear almost lifelike. 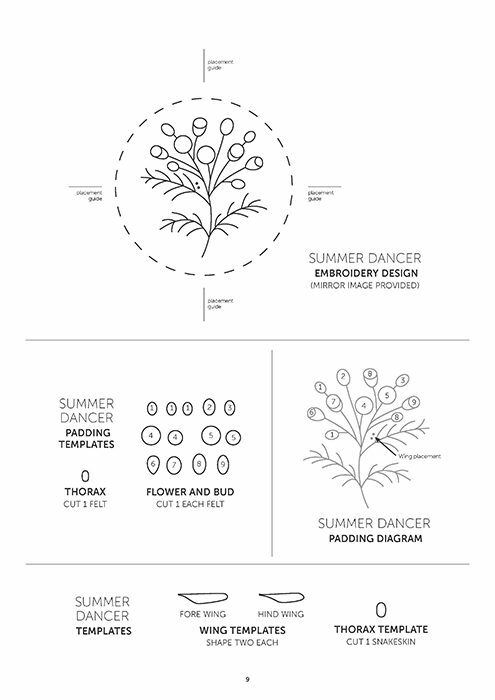 Felt padding is used to lift the tansy flowers and buds away from the fabric surface, creating added dimension to this magnificent study.